Here we have a Leeds United share certificate from the post-Revie era, when Jimmy Armfield was in charge of the Yorkshire club. The certificate confirms the purchase of a total of 25 shares in the club, at a cost of £1 each. 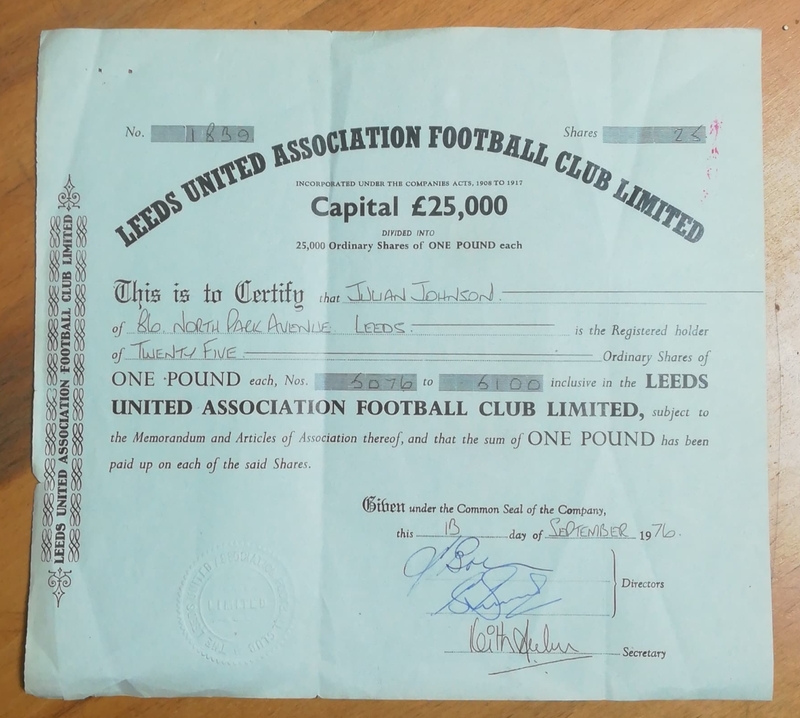 It has been signed by the Directors Sam Bolton & Sidney Simon along with Secretary Keith Archer, and is embossed with the Leeds United seal (see below). We are the UK's largest private collection of football memorabilia, and we would love to hear from you! If you have a single item or a whole collection, we can offer a free valuation, and it could even end up on display in our collection at the National Football Museum! Check Out Our Sister Site! Copyright © 2019 National Football Collection.